Next Article Not in the exhibition! 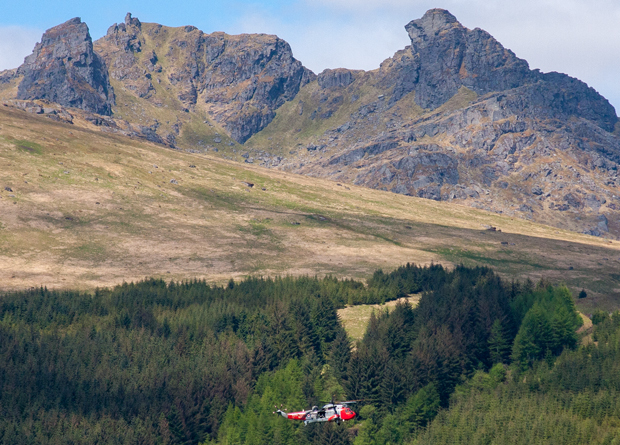 A NEW leaflet promoting the range of routes available to walkers in Arrochar and the surrounding area has been launched. The leaflet, published by the Arrochar and Tarbet Community Development Trust, was funded by the Friends of Loch Lomond and the Trossachs’ Business in the Park scheme, and its design was supported by the Loch Lomond and the Trossachs National Park. It was launched on Saturday March 31, at the Cobbler Car Park at the head of Loch Long. The leaflet was developed by the trust in order to encourage healthy recreation, boost the economy and present Arrochar and Tarbet as a must-see visitor destination — promoting the area to local people and visitors alike. Cobbler photo by Donald Fullarton.